With technology so central to many of our working and personal lives these days, it may seem hard to remember a time when we didn’t have the internet–let alone, social media, and other technologies that we take for granted these days. 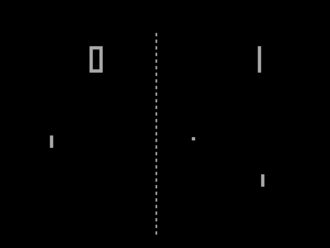 * Pong was a newly popular video game (below, via Wiki) of a ping pong/table tennis game that you could play on your tv via cassette software—pre-Pac Man, Asteroids, etc. * silent films, television at all, space exploration at all, the telephone, antibiotics, vaccines, etc. What prompts my musings about computers and the internet are the fact that my only two year old computer and internet router have been inordinately twitchy and glitchy these last several weeks—more so than usual, anyway, Ha! And Facebook has removed the “pin post to top of window” option to some groups that I’m the Admin of. Arggggh! And to add more annoyance to the mix, my tablet battery wants to die on me, possibly necessitating my getting a new tablet as the cheaper fix option. Drat! My Kindle library is on my tablet—240+ books—as one of three devices they are on for portable and comfy reading while lying down. Boo hoo. Ha! I need a tech saavy Lucas to come to my rescue! With him wearing a trademark Lucas Blue shirt, of course! Oh, to be the keyboard! Sighhh! *THUD! * Wishing everyone a lovely day! Hugs! 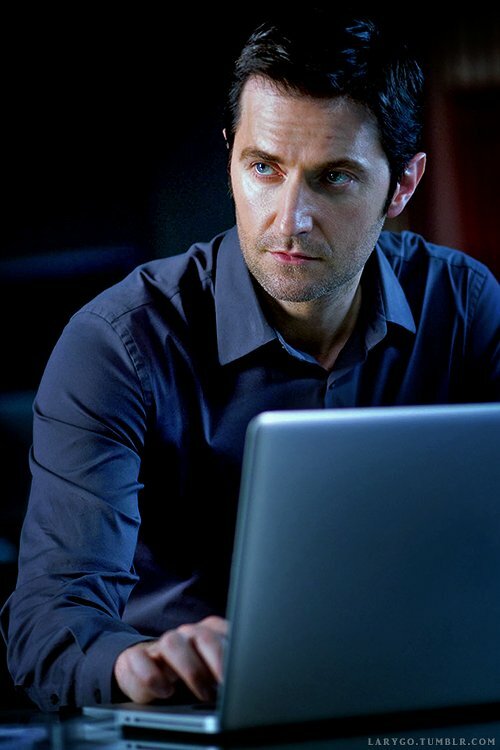 Image of Richard Armitage as Lucas North in Spooks 2008 is via RAFrance, Thanks! And I am truly grateful for the advanced technologies of air conditioning, gas or electric heating, indoor plumbing, cars, computers, cell phones, and the internet/social media, etc! So what is your favorite technology frustration or annoyance? Or flip that, which technology advancement in your lifetime are you most grateful for? This entry was posted in Fun Day Sunday, Graphic, Gratiana Lovelace, Love and Relationships, Lucas North, Richard Armitage, Technology and tagged Fun Day Sunday, Graphic, Gratiana Lovelace, Lucas North, Technology. Bookmark the permalink.